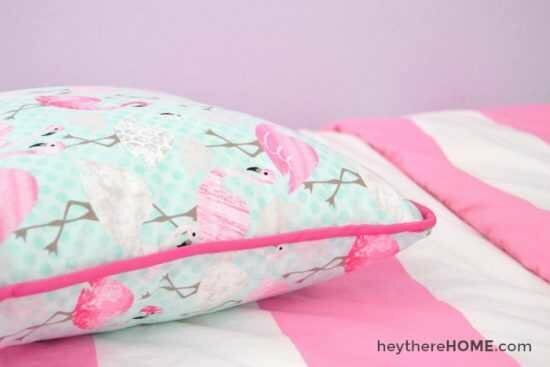 10 easy-easy-to follow written tutorials to make your own home decor, even if you only know how to sew a straight line. Do you have West Elm taste...but a Target budget? Budget shopping for your home is great for your wallet. Unfortunately, it also means your home will look exactly like everyone else’s. The same colors. The same patterns. The same 5-piece pillow-and-curtain decor kit from Aisle 5. NOW YOU CAN HAVE A DESIGNER LOOK, EVEN IF YOU'RE ON A TIGHT BUDGET! 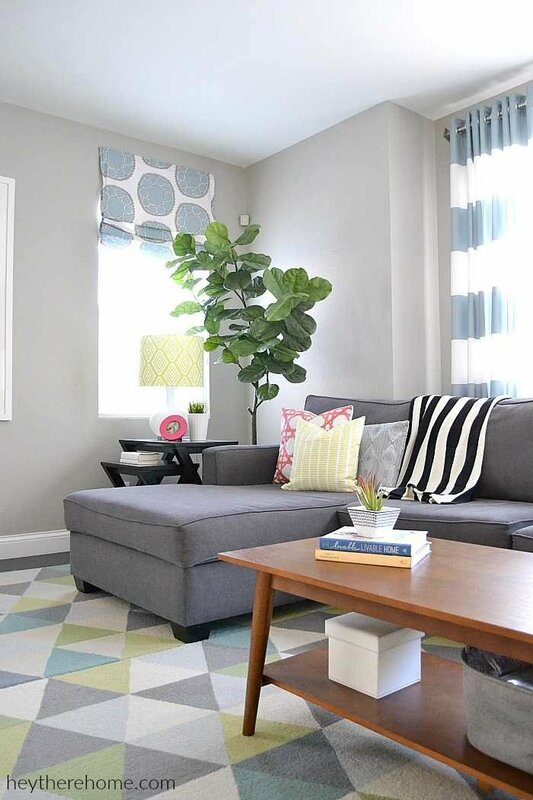 Imagine being able to finally bring the color, texture, and pattern into your home to get that finished look you've been craving. So what’s the secret to pulling all this off for just the price of a few yards of fabric? The easiest way to create a high-end home on a budget, even if you can only sew a straight line. I’m Corey, and I believe making your own home decor, in the exact colors and patterns you want, is easier than you think... And I'll show you exactly how. You don't have to be a master at your sewing machine to make your own beautiful home decor -- Lord knows I'm not! You just need easy, step-by-step instructions for each project. Inside 10 Simple Sewing Projects for the Home, you’ll learn how to create 10 different items for your home -- from scratch. 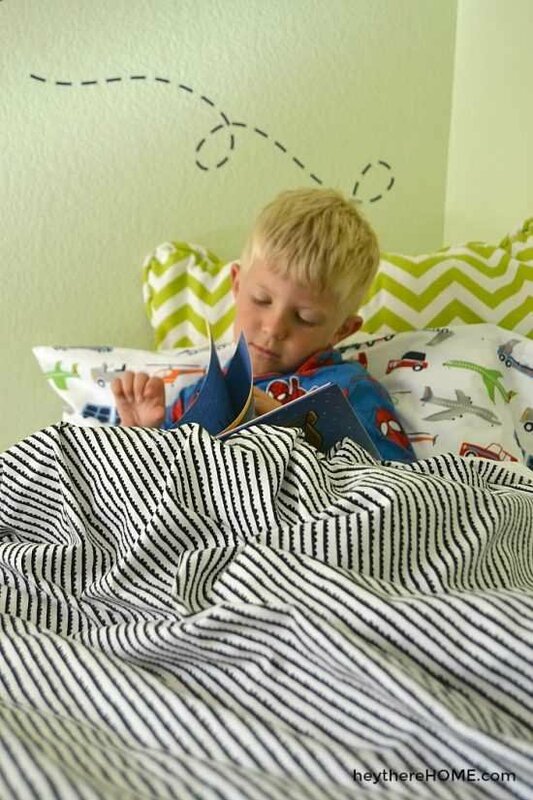 From pillows and curtains to custom bedding. The only skill you need is sewing a straight line. ...and if you need to learn how to sew a straight line? I’ve got you covered. 10 step-by-step written tutorials -- with photos -- to show you the exact steps to make 10 decor items for your home including table-top, bedding, decorative pillows, window treatments, and storage. A handy buyer’s guide for choosing the right type of fabric for your project, with secrets for getting the high-end look you want without spending a fortune. Helpful “Sew a Straight Line” video tutorials so you can style your home from scratch with zero experience. You’ll thread your machine and start sewing in less than 10 minutes. Insider access to my list of the best online sources for home decor fabric -- this is a reader favorite! Delivered via instant download so you can get started right away. I was so scared to install a zipper! Thank you for this tutorial. I had never done a zipper before and you made it easy to follow. I have been learning along with my 9 and 15 year old. I really appreciate all the hard work you put into creating this. ARE YOU READY TO STOP SEARCHING AND START CREATING THE PERFECT ACCENTS FOR YOUR HOME? Grab your copy of 10 Simple Sewing Projects for the Home now! Check out for just $7 and get instant access to your tutorial files. It has been many, many years since I have put a zipper in. You did a great tutorial for first timers! Very very easy to follow and ladies don’t be afraid please, it’s sew (lol) easy! the founder of Hey There, Home. I share my decorating tips with more than 23,000 readers and I can't wait to show you how easy it is to make your own home decor. My blog, Hey There, Home has been featured in Better Homes and Gardens, Craft Beautiful, and Reloved magazine as well as on Apartment Therapy, Good Housekeeping, Buzzfeed, Popsugar, HGTV.com and BHG.com to name a few. Over the years, I've helped my readers with DIY projects, how to articles, and inspiration and have become known for my easy sewing tutorials. As a trained, experienced, and born teacher (I used to teach high school), I knew I needed to create an easy to follow resource to give you the confidence to sew your own home decor --no fancy sewing skills required. How is this eBook delivered? As soon as your purchase is complete you will receive an email with the PDF file of your ebook. You can save it to your computer right away and print it or easily access it during a project on your tablet. This is a digital book, nothing will be mailed to you. What if I have zero sewing skills? I don’t want that to stop you! Every single project in this book only requires knowing how to sew a straight line and as part of your purchase I include simple how to videos to teach you how to sew a straight line. Everything from how to set up your machine to the basics of stitches is included. You’ll know how to sew in less than an hour!